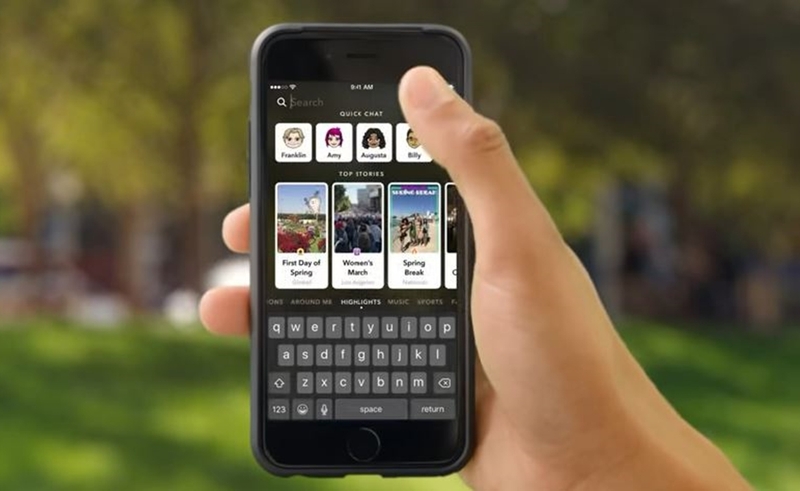 Snapchat doesn’t split ad revenues with creators who share content across its app, but it is rolling out a new initiative whereby major media partners will be able to repurpose user-generated Snaps — and turn a profit in the process. Twenty publisher partners will now have access to Our Stories — which Snapchat describes as “collections of Snaps submitted from different Snapchatters throughout the community, collected and categorized to capture a place, event, or topic from different points-of-view.” As part of the new Curated Our Stories feature, media giants including CNN, NBC News, NowThis, and Hearst will be able to tap into this trove to create their own content by overlaying graphics or text. For instance, notes Deadline, with respect to Hurricane Florence coverage, news organizations might turn to user-submitted Snaps to flesh out their own reporting. And while publishing partners stand to monetize this content on Snapchat, it’s worth noting that the users whose Snaps are included in coverage will not. Snapchat first introduced Our Stories in 2015, and Deadline reports that 75 million people have consumed them in the past month. Curated Our Stories can also be embedded on other social platforms across the web. The full list of publisher partners at launch includes: Brut, Cosmopolitan, Daily Mail, Daquan, Dodo, Harper’s Bazaar, iHeart, The Infatuation, Jukin Media, Lad Bible, Love Stories TV, Mic, New York Post, NBC Sports, Overtime, Refinery 29, Telemundo, The Tab, the Today show Viacom, Wave.TV, and Whala. Last quarter, Snap exceeded earnings expectations with $262 million in revenues — though it reported an ominous loss of 3 million daily users. As an overture to digital-native creators, the company unveiled in July a Storytellers initiative to facilitate collaborations between top creators and major advertisers.